I may have said this before…but my friend Kristen is my Oprah when it comes to finding new books to read. She has quite the collection of book reviews over on her blog and is one of the first people I think to ask when I am looking for a new book to read. She’s not the only one I look to for new book recs…Sheila posts what her book club is reading, Jenna shares what she’s reading frequently and Julie hosts a monthly book club on her blog. I love that these girls share a love for reading like I do and they are my go-to bloggers when it comes to finding my next read. I wish we could actually get together in real life every now and then and talk books over a glass of wine. Wouldn’t that be nice?! 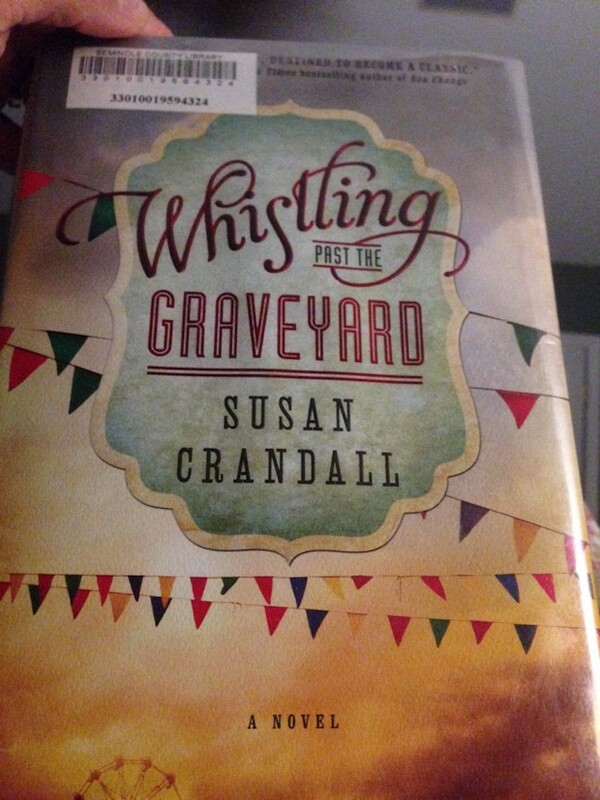 Whistling Past The Graveyard by Susan Crandall was the last book I finished (recommended by Kristen) and I LOVED this book. I saw Kristen post a picture of it on Facebook one morning and I was lucky enough to find it at the library the same day, that never happens! I finished it in less than a week and that hasn’t happened in a while. I found myself staying up later than usual and sneaking in a page or two during the day. I think it was Kristen who said – “if you liked The Help you would like this book”, and she was right. It had the same tone, as far as racial and segregation references in the South during the civil rights movement era. It highlights a special friendship between two people that society wouldn’t approve of during that time. It’s definitely a “love conquers all” coming of age story and will tug at your heart, although it’s not always all warm and fuzzy. You will find yourself becoming attached to the characters and to me those are the best reads. Buy the book through my Amazon store here, download on your Kindle here or add to your reading list on Goodreads here. I finally got my hands on the sequel to a book I loved, and read last year, Firefly Lane. I’ve heard mixed reviews about the sequel but so far I am drawn in and enjoying it. Kristin Hannah is one of my favorite authors and has quite the collection of great books so if you haven’t read her yet I think you should! Buy the book through my Amazon store here, download on your Kindle here, or add it to your reading list on Goodreads here. Your turn! What are you reading? Let us know in the comments! My book club just finished A Walk Across the Sun by Corban Addison. I must admit I wasn’t too interested when I read the jacket, but it was a very good book. Glad to hear you liked Whistling Past the Graveyard – I’m waiting on it at my library. I just finished listening to Frog Music by Emma Donoghue, it was OK. I liked Room (her first book) better. HUGS!! Thanks for the shout out! I am so far behind in posting about book club! aaah thanks for the reminder 😉 I LOVED the Help…so I guess I need to get this book soon! 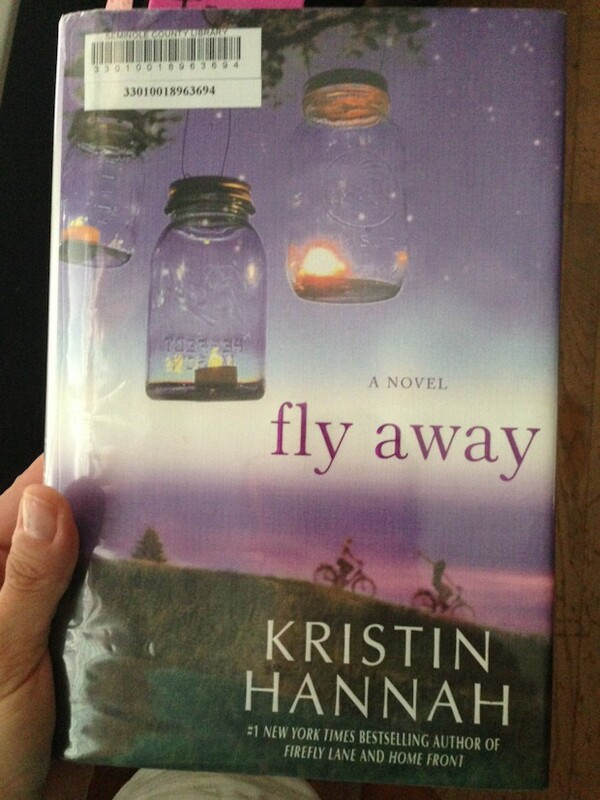 I have a friend who loves Kristin Hannah…I feel bad, but I read firefly lane and the next one and they were a chore for me to read, maybe it was the spot I was in in life..not sure, maybe I should give her another try. I have been a reading maniac lately. I just read Reconstructing Amelia…couldn’t put it down. Jeanette Walls The Silver Star…also a must read. A long road to water, easy read, but based on a true story about a man from Sudan and his perseverance. No just finishing Radical by David Platte…don’t read if you do not want your life to flip upside down! Life changing. I’m going to have to get Fly Away. I loved Whistling Past the Graveyard and hope they make it into a movie. Great Book.